ISLAMABAD: Federal Minister for Law and Justice Barrister Mohammad Farogh Naseem has said that to speed up the pace of pending cases to improve the efficiency of the judicial system, amendments in civil law would be introduced. In a press briefing here on Friday, he said that a mechanism of three phases to monitor civil cases would be introduced for their early disposition. Giving details, he said in first track main cases will be heard, in the second track other matters pertaining to stay orders, receivership would be addressed and in the final stage, evidence would be recorded. The minister said that a panel of well-reputed lawyers would be constituted which will collect the evidence that could save the time of the court. “We need the active contribution of lawyers from across the country,” he added. He said the whole procedure from the filing of a civil case to giving defense should be done within 75 days. The issue could be framed within 30 days and 15 to 20 days would be given for witnesses and evidence. To save the time of the court, he said the commission will record mandatory evidence and it will be recorded within 90 days and soon after the judgement implementation should be taken place without wasting a time. Giving reference of the Supreme Court, the Law and Minister said that if any judgement was reserved then it should be announced within three months and after the judgement, it was not necessary to make a decree. Farogh Naseem said that two appeals are available against the decision of civil judge after the trial one is in the high court and the other in the Supreme Court. “If we will streamline all these things then one trial will be completed in 12 to 13 months,” he said. To a question, the minister hoped that Sindh government would also review these amendments as the Sindh advocate general also agreed and it was up to the provincial assembly to take it up. 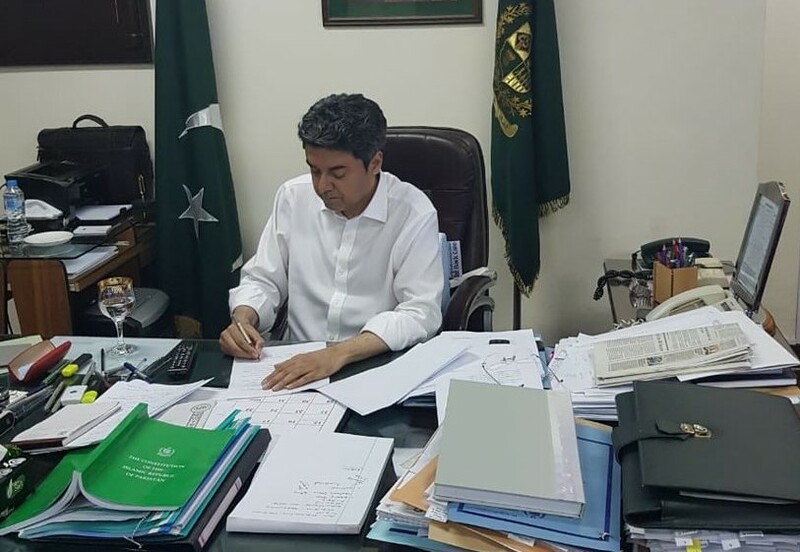 To a question, he said the draft regarding Mutual Legal Assistance (MLA) law has been completed which was pending for last nine years now it will be sent to Ministry of Interior, Federal Investigation Agency (FIA) and National Accountability Bureau (NAB). Farogh Naseem said that a meeting on MLA draft would be held during next week and then the Ministry of Law and Justice will be in a position to decide whether to table the bill in the parliament or to send it for ordinance. The minister said there is a dire need for holistic change in accountability law to empower the NAB, adding that the government will not introduce any amendment which may create hurdle for the NAB to pinch the corrupt elements. While chairing a meeting of Task Force on Civil Service Reforms, the law minister also spoke on accountability and civil laws, saying there was a need for big changes in the legislation. He also informed the meeting that changes were being made to deal with civil cases at the earliest and said that three recommendations have been prepared to provide the public better justice. The task force was approved on August 28 to oversee reforms in civil law and National Accountability Bureau laws. Naseem refused to comment over treason case against former president General (r) Pervez Musharraf during a meeting of Task Force on Civil Service Reforms on Friday. While chairing the meeting, Naseem was asked questions regarding the former president, to which the law minister said he would not comment. “I have said in the past to not ask me a question on this [Musharraf trial]. I will keep on responding no comment,” said Nassem. General (r) Musharraf is accused of unlawfully suspending the Constitution and imposing emergency in 2007.